There are so many books on pregnancy, motherhood and parenting that it can get really overwhelming. A popular book might not be a good one or a book might have more opinions than facts – and trust me, a pregnant woman has enough of those ( opinions ) coming at her already. I picked up a lot of books for tips, guidance and therapy during this phase that is so new and precious. Some books really spoke to me and I cannot recommend them enough. Hope you find the list useful. Bump to Birthday, Pregnancy and First Year Baby Journal : This is technically not a book to read, but a journal to write in. 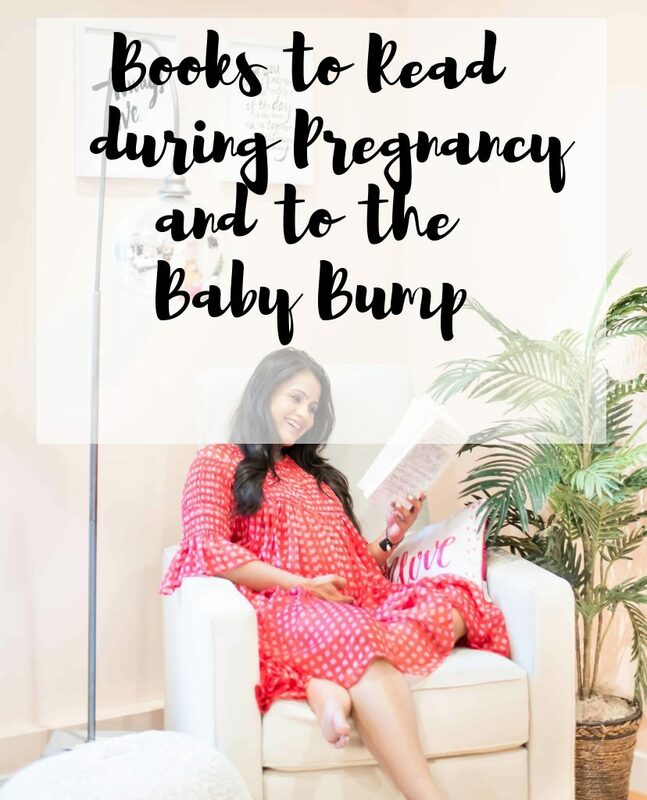 Out of all the journals available out there, I found this one to be pretty comprehensive in providing a space to make notes during your pregnancy and upto baby’s first year. I cannot recommend writing in it from day one. You are going to love reading the pages and moreover, your baby will have such a precious journal to go over in the years to come. I still love reading the book that my mom maintained from her days from when she was pregnant with me. Magical Beginnings, Enchanted Lives : Something weird started happening with my dreams after my first trimester. My dreams were directly related to what I was reading or watching on TV during the day – so emotional or violent content had to be stopped … stat! I picked up this book from the library and it became of my favorite books to read. I am not a spiritual book reading kind of person, but this book really helped me calm down during moments of anxiety. There are simple exercises mentioned in the book that help with calming yourself down and connecting with your inner self. It also focuses on bonding with your baby and exudes positivity which I loved the most. The Expectant Father: The Ultimate Guide for Dads-to-Be : I have to open by saying that my husband is not much of a reader. Infact,he just doesn’t read any books. But this book ! He loved it. He read it religiously, chapter by chapter, even read it on long flights instead of watching movies. Now that says something. The good thing about the book is that it isn’t too detailed but provides just the right amount of information on pregnancy, what your partner is experiencing and also – what you (as a dad ) might be experiencing. It speaks to a guy from a guy’s perspective. We can’t recommend it enough for a first time dad. On Becoming Baby Wise: Giving Your Infant the Gift of Nighttime Sleep : This book was gifted to me by a colleague with the note that the gift of sleep is most precious! Hah! Something that you are going to hear literally all the time and from everyone you talk to. There must be some truth to it, afterall. I started reading this book after entering my third trimester and am liking it so far. It is supposed to be a widely used system by parents to set a sleep schedule for babies. We are going to go by our instincts and listen to our baby – but this can be a good guiding plan overall to charter the course. The reviews of this sleep schedule setting system are phenomenal and a lot of my friends swear by it. How Not to Hate Your Husband After Kids: I have heard so much about this book and cannot wait for it to be shipped. When the lack of sleep and fatigue kicks in – I am sure we can use a good laugh reading anecdotes and stories =)) I mean – the name of the book alone wants me to pick it up! Eat, Sleep, Poop: A Common Sense Guide to Your Baby’s First Year : This book is another highly recommended one from friends and colleagues. Apparently, it is the only book that one might need to read after baby’s arrival. I’ll be sure to share how I find them once. My mom still has some of the books that she read to me when I was little and sent me some of those. Classics, nursery rhymes, stories with moral endings, or folk fables – pick any of those and read them aloud. Such a great post! Thanks so much for sharing! I have a few of these but def. checking the rest out! 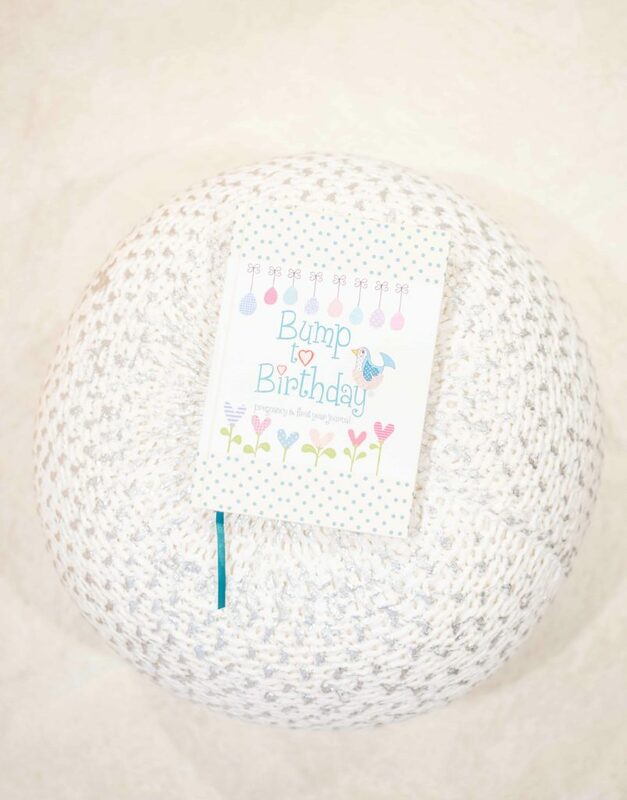 Loving your bump too! Hope you’re feeling well… at the homestretch!! Such an amazing post! Thanks for sharing dear! I read some of these but not all. Thanks for the list! absolutely! did you have any favorites from the ones you read, Amy Ann? You look adorable! Love the picks as well! What a helpful post, girl! 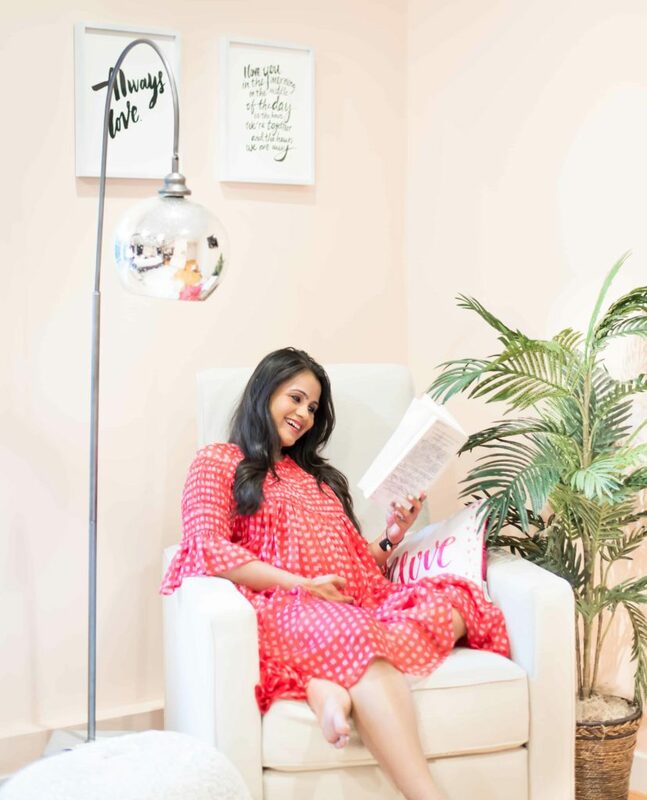 I didn’t read any books while I was pregnant, I kind of just Googled things I was curious about or asked other moms I knew, haha. I think the second time around, I’ll give one a read because no two pregnancies are the same! Thanks for sharing and I hope you’re having a great week so far! Talking to other moms is so important – they are the best resource for information. Hope you are doing well, Jalisa. Love this beautiful post! Thank you for sharing! I read babywise and found that to be very helpful. How not to hate your husband sounds so much fun – I ordered it after reading here. have you read happiest baby on the block? I haven’t yet – but have heard good reviews about this one. Congratulation on your pregnancy! This dress looks amazing on you. I rembeber, I used to read books about pregnancy when I was pregnant and it was very helpful. There are definitely a lot of books out there. Glad you found some that you liked. It was 8 years ago when we had our first, but I found Baby 411 to be helpful for when the baby was born.